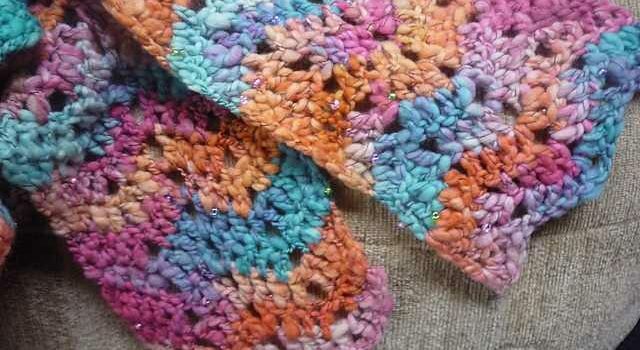 Quick, easy, and lovely, this pattern has a choice of 3 widths. One-Skein Chevron Scarf by Dena Stelly with a great design for a one ball scarf makes a warm and stylish scarf. 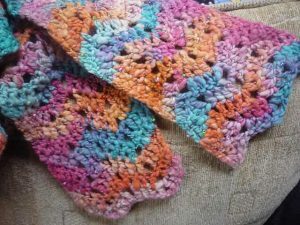 This is such a great project to take along and there are so many ways to make different scarves using this pattern. Making lovely presents has never been easier! Thanks to Dena Stelly for the article inspiration and featured image. Fatima,nice idea for the multi coloured yarn you got! Here’s mine! I love the way it’s coming out!